INSIDE: So I told everyone some jokes about you, and it cheered us right up! Get well soon! 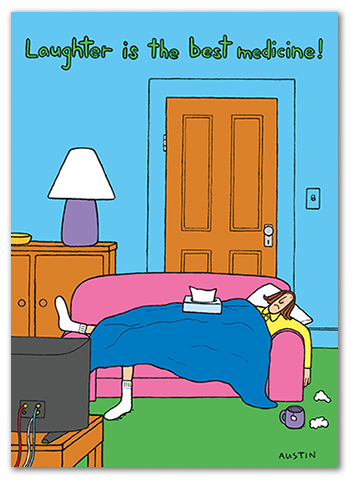 Funny get well card from Snafu. Printed on high quality 100 lb card stock, and comes with a bright white wove cotton envelope.